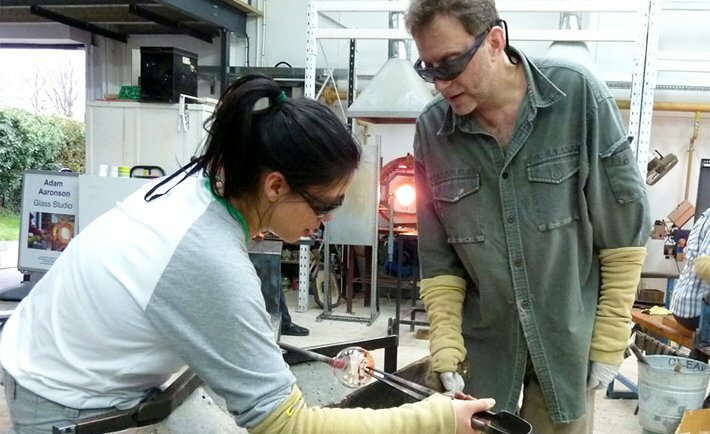 Adam Aaronson is an enthusiastic teacher and enjoys passing on his glassblowing skills. His glassblowing course is a popular half-day introduction to glass blowing for beginners and he also offers on-going tuition for those who wish to extend their expertise. Private sessions can be arranged for groups of family or friends or for corporate team-building events. 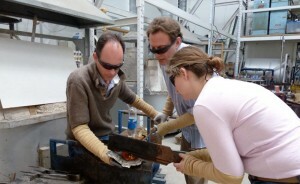 All glassblowing courses are taught at Adam’s spacious and light studio at West Horsley, Surrey. 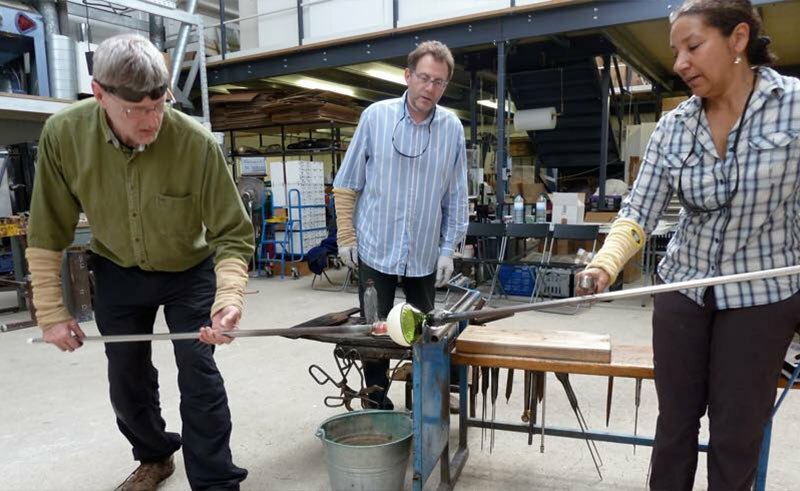 An exciting and intensive half-day glassblowing course introducing beginners to the wonders of hot glass. View available dates and book your half-day glassblowing course online. Buy a half day glassblowing gift voucher, personalised with a short message from you to the recipient. 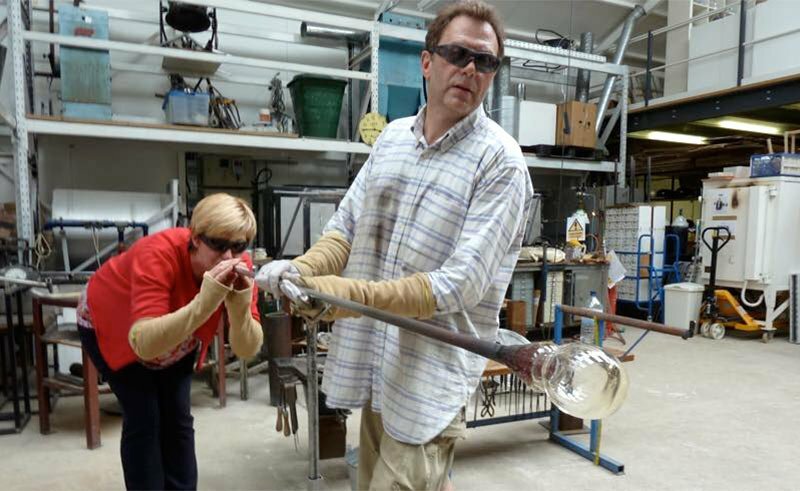 Find out about Adam’s on-going courses for those wishing to develop their glassblowing skills. Individual glassblowing tuition tailored to your needs, whether you are a beginner or already have some experience. 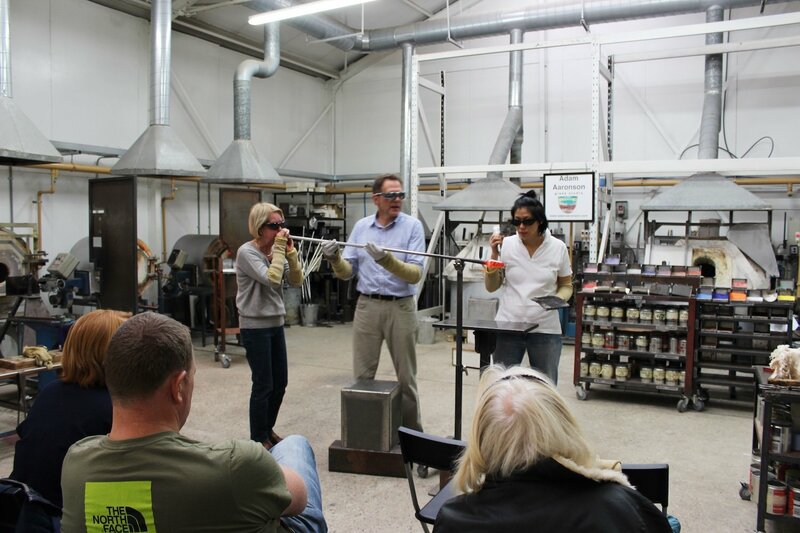 Private glassblowing events for family members and/or friends, and corporate team-building workshops. 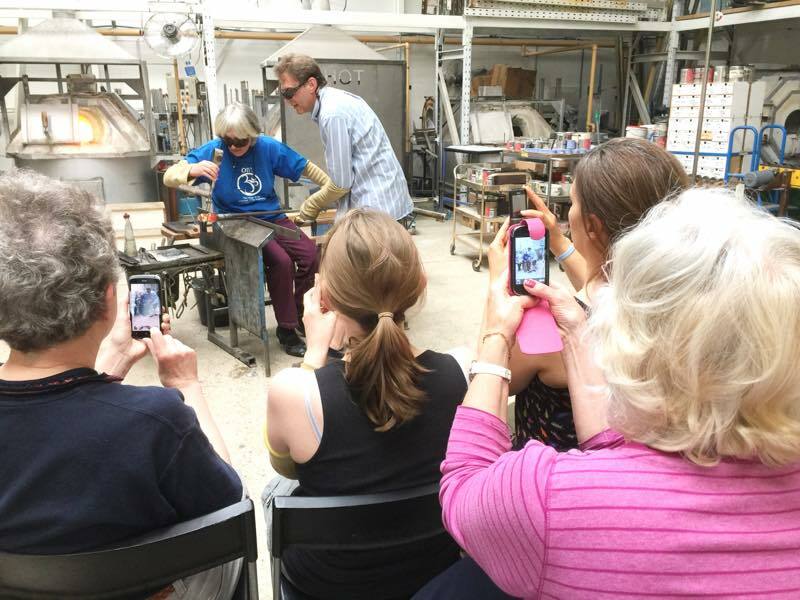 An exciting and intensive glassblowing short taster course introducing beginners to the wonders of hot glass. 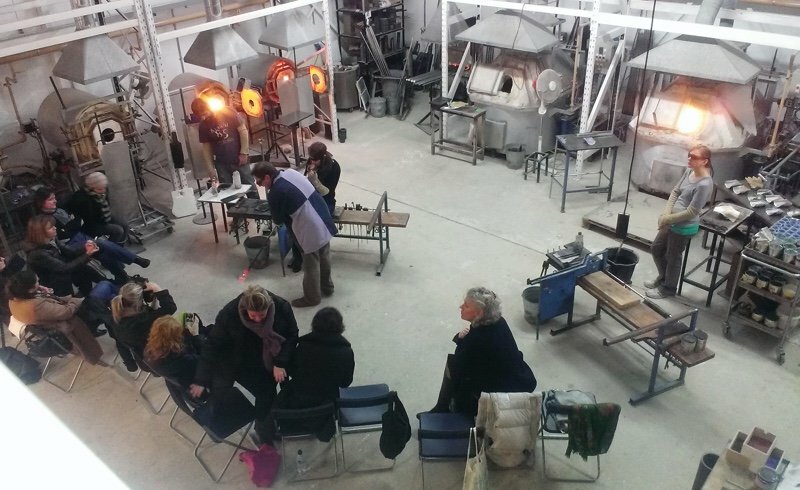 View available dates and book your glassblowing short taster course online. 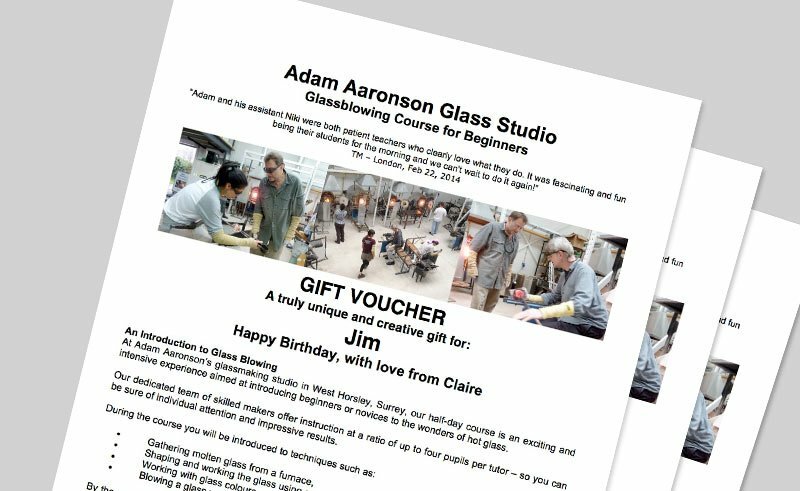 Buy a beginner’s glassblowing short taster course gift voucher, personalised with a short message from you to the recipient.